I hope there’s some sunshine and/or a cold drink someplace near you. It’s time to touch base and update you on the happenings here at Between Five Bells. Life is good and the wines are tasting great. We looked at the 2012 Reds properly for the first time last week, and couldn’t be more excited about their release next year. The current wines continue to be received well, and we have sold out of the 2011 WHITE, (thanks to all of you). We’ll tell you about the new 2012 Rosé at the end of this note. I have made wines under two labels and I've had them scored in the same periodical as much as five points apart. Same wines, different package. Wine, as per so many other overly supplied creative fields, has just as many critics as creators of the subject matter. This is all reasonable; like music, films or books, we expect something that brings joy and creativity to also attract opinions. Eventually, we seek someone dedicated to the task of sorting though the unruly mess and directing us to the cream on top. Then, after a while, we gravitate to certain voices, ones that offer some synergy with our tastes. This has worked forever, and will continue to do so. But what of our wine industry? Are we adequately serviced when it comes to voices of clarity and transparency? It’s a tough question and one that gets thrashed out regularly in the geekier section of the wine community. Like the books & movies referenced above, a natural divide evolves as taste develops, i.e., the more you are exposed to wine, the more complexity and subtly you seek, (generally speaking). An appreciation of these aspects can lead to a disparity between the advice given and the actual reason the opinion was sought out. Nothing especially insightful here, but it’s the over compensation of this that leads us to the most common complaint about wine criticism, especially in Australia- that too many words are spilt attempting to appeal to the average drinker under the umbrella of “demystifying”. The New York Times writer, Eric Asimov’s, new book, How to Love Wine, showcases this conundrum. It’s an intelligent book on many aspects of wine and is easily digested. It’s the ease though, that makes you wonder how much more interesting it would be if it was written in less of an intentionally “approachable” style. A brilliant take on this concept lies here. At least that’s not a complaint about the fidelity of the information it contains. Last month alone, our little wine brand was invited by two top Australian wine publications to be included in articles/advertorials on varied subjects. Inclusion in both came with a price tag. These “opportunities”, (yes, I shuddered at that phrase too), came at a rate that works about at more than $1 for every bottle we make. There’s nothing wrong with this, and we shouldn’t be surprised about the diversity of income streams needed to survive in the print/communication section of the industry, (and that includes the wine show system everyone seems keen to talk about at the moment), but the task of adjudicating someone’s opinion is more difficult if you don’t know the reasons behind it. In the US there’s talk of the problematic reality that even the most famous, sought-after wine writers, people like Antonio Galloni, host for-profit events with wineries they review to top up their existing incomes. If you, as some do, think this is unreasonable, then imagine making a career of this game in a tiny market like Australia. There’s no agenda to any of these mumblings, other than to point out it’s important to look broadly in finding a voice that calibrates with yours. Much has been made recently of the rise of wine bloggers and the incredible power of crowd-sourced tasting notes like that on CellarTracker. Anyway, December is almost upon us, so Merry Christmas from here. We’ll send a note out in early January to release the new 2012 Rosé. There’s less than 50 dozen of it, so we’re going to sell it in straight cases and see it all out in January. If you’d like to put your name down for a box, please do so here. 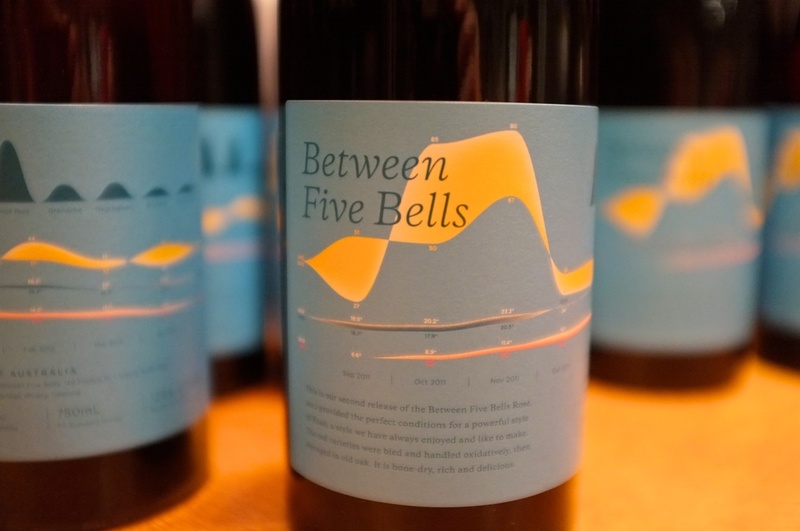 As per usual, thanks for all the feedback and appreciation of the wines, it’s always joyous to hear people speak fondly of drinking the Between Five Bells wines. ‘Til next time…for those down here, enjoy the warmth, for those of you up there, rug-up.